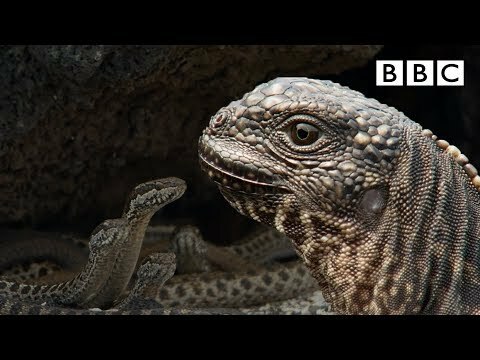 Here is a lovely video about a chasing of an Iguana by snakes. I wrote a transcription, -with a lot of @Lynne 's corrections of course- telling the story about what happened with the iguana. I recommend to watch the video first and then read along the transcription. Once upon a time, in a very rocky area, there lived a family of snakes. There were dozens of them in the family. With their several meter long limbless bodies, and their conspicuous scales, they held absolute sway. The other animals knew they had better keep their distance if they didn't want to be caught and swallowed alive by the snakes, but one day, an iguana hatchling got lost during its morning promenade and ended up near that lair. “Oh my God!” he thought. “What have I done? What a disaster!” “Okay. Think! Think! Plan A: don’t move! Plan B? Don’t move! The little iguana lay motionless and very quiet. Even when he heard something behind him, he didn’t dare look back until he felt something touch his tail! Oh dear, a snake had found him! Run little Iguana run! The little iguana ran as fast as he could, all the while being chased by the whole snake family. “Ooops, catch me if you can! Bye!" From time to time he almost escaped from their clutches .... until ..... “Oh no, he got me! I’m dead meat now! Help! Mummy!! !” A snake caught him and the others joined in. The snakes were mad and upset and started to chase him again. The little iguana headed towards a rocky hill, still with the snakes behind him. “Why don’t you give up, you rotten snakes! Why don’t you let me go? I’m only a little iguana." They came to a place where there were a lot of gaps between the rocks. “Okay, see if you can get me on the other side of this crevice. And this one.” The little iguana sprang and sprang again. Of course the snakes couldn’t get over the crevices and fell between the gaps. “Ooh, that was sooo close! Hey, where am I now? Am I ... ?” The little iguana looked around, recognized the place and saw a familiar face. I vividly remember this scene from the documentary @april . It's both mesmerizing and daunting. It still keeps me on the edge of my seat, even though I've already known how it pans out. What a lovely description @april. 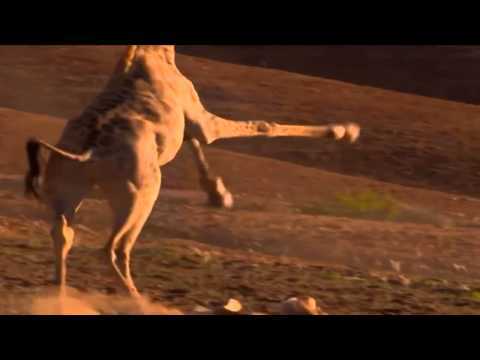 David Attenborough filmed a pride of lions attacking a giraffe - the same story, the giraffe happily escaped, not without inflicting some harm on her predators (giraffes are cool at kickboxing). Would you like to write another transcription? I'll try to write, and I hope you won't mind to do some corrections. 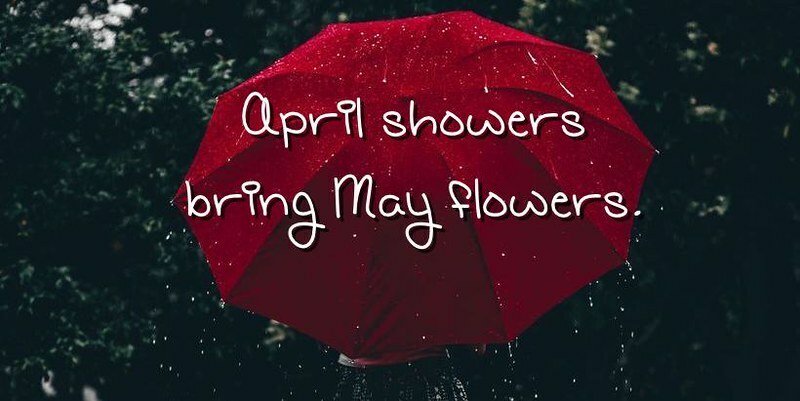 Not at all and I look forward to reading it @april. I wonder why I cheer the iguana, even though the snakes also struggle to hunt it for their survival. However much I love the big cats, I also cheer when their prey escapes @Yellowtail. I remember I was taken aback by how a jaguar in one episode of the series attacks a crocodile and crushes its skull effortlessly or at least it seemed so. If I'd been asked who was going to win, I would have said a crocodile hands down. Oh, the iguana video seems science fiction with that music and the way of filming , it seems like life on Mars. Regarding the giraffe, another great sample of wild life. Good idea to publish videos and about them write stories. The jaguar has sharp teeth and claws, and I would think is much more agile @Vok. I think few animals are defeated by the big cats, though elephants take some beating. 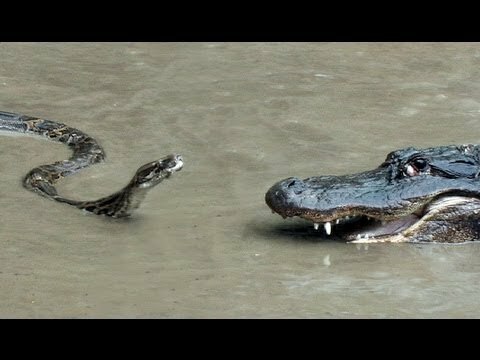 I confess the movie about the iguana being chased by the snakes was breathtaking thrilling, it held me on the edge of the seat all way through it. Thank you @april for your excellent script which could be held a professional movie script. I hadn't grasped it from the movie, so you made it clear to me. 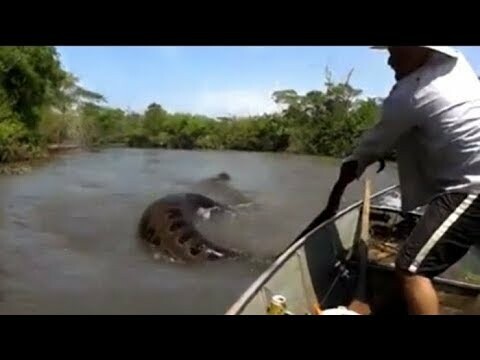 Well the python in both these clips seems to be able to get one up over alligators. These videos make my skin crawl @mheredge . They are pretty gobsmacking @Vok. It's one thing when a tiger chases and brings down a deer but when it's a fight to the death like this, it does make the skin crawl.